Loved this! So much fun to read. And go see Harry Potter! I had to be there on opening day, and it did not disappoint! You are currently my favourite knitting pattern designer. I'm in the middle of your Triumph scarf and it is turning out beautifully!! Thanks! Yes you can knit a shell in the round, split at the underarms,split for the neck. And you can use three needle bindoff at the shoulders, joining them and finishing them at the same time. So much easier than seaming! Hey! Thanks for the shoutout. Love your blog. I find it impossible to enjoy books when I read them out of order. What are you liking best about the Sookie Stackhouse books? I have been pondering starting on them next but. . .
Glad your mystery was solved!! 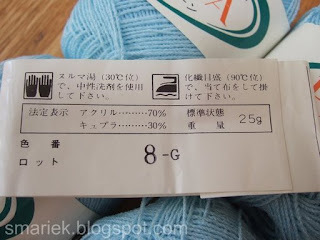 What would we do without Ravelry and the internet (knitting community)?